A great day on the slopes after winter storm Damon dumped a pile of snow on Greek Peak and the surrounding area. Although the roads were treacherous this morning, I had a safe trip to the area by traveling at 30 MPH or so. The new snow had a high water content. A typical Northeast "powder" condition. 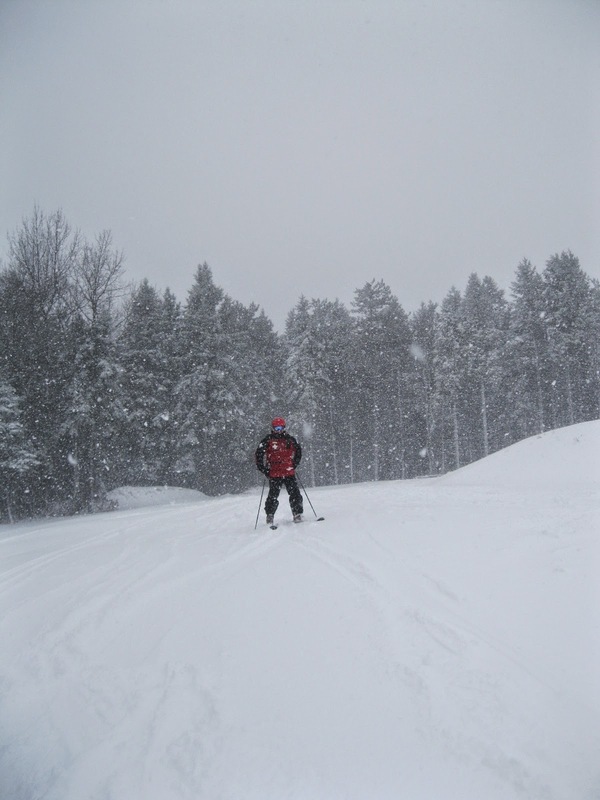 Early runs on the untracked surface were great and even later in the day conditions remained comfortable. During my coffee break I watched a family traversing from one lift to another. Clearly a novice group. Dad skating ahead carrying a pair of skis. Mom and two youngsters trailing behind with one of the younger children frequently tumbling in the snow to be pulled to his feet by Mom. I hope the family was having fun, but clearly it wasn't the best of days for the parents or maybe even the children. The early days of skiing with a young family can be a challenge. I hope they prevail and become veterans. As a veteran, I find I still can be prone to making a novice mistake. 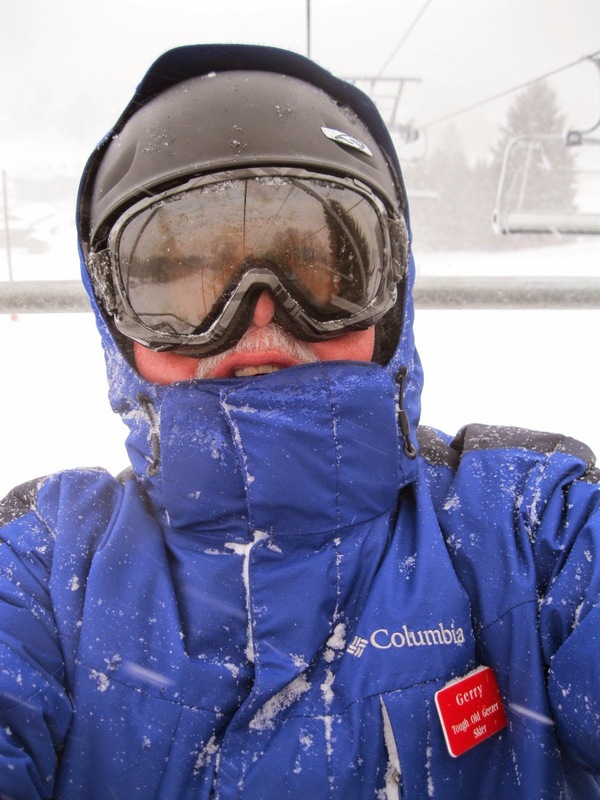 I decided to take a selfie this morning as I was riding the lift. Removing gloves to get out my camera was necessary. Normally I am wise enough to secure my gloves before moving to photography. Today, however, I made the mistake of putting my gloves on the seat of the quad chair. Within a second or two a gust of wind blew my gloves to the snow below. What a stupid novice mistake! At least I didn't drop a pole. I managed to keep my hands warm under my coat for the ride up but by the time I reached the bottom the hands were nearly frost bitten. Moral of the story: No matter how experienced you are, mistakes will happen.